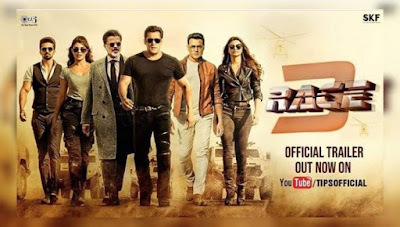 Superstar Salman Khan and Jacqueline Fernandez starrer 'Race 3', the machined avatars trailer has been released. Prior to the release of the trailer, Salman Khan has left no stone unturned in this for the curiosity of the fans. He shared the first 'Race' and then 'Race 2' trailer on his Twitter account. 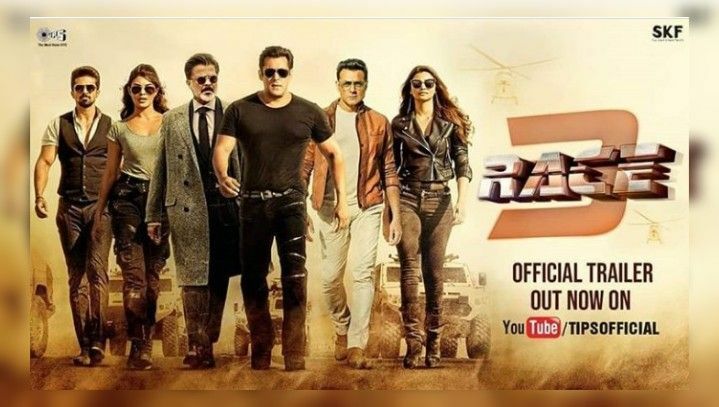 Well, the wait for the fans ended and the trailer of 'Race 3' is now in front. Salman Khan Starring with Jacqueline Fernandes. This is his second film of the race franchise. Earlier he has also worked in Race 2. In addition to Salman-Jacqueline, stars like Bobby Deol, Anil Kapoor, Daisy Shah and Saqib Saleem will also be seen. A lot of action scenes have been cast in the trailer. If you were waiting for an action film then you would love it. All the tempers have been planted in the trailer. Actors jump, actresses fight, trains fly and dialogues are also swapping. Salman Khan is also the producer for this film. Assuming the sources, Salman himself has chosen the action-packed scenes for the trailer. Before the release of the trailer on Tuesday, Salman continued to entertain fans about it.